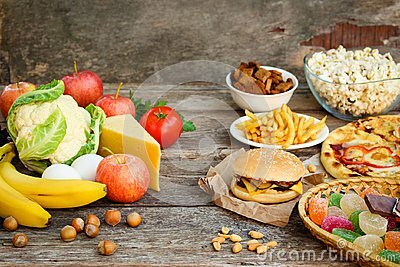 Fastfood and healthy food on old wooden background. Concept choosing correct nutrition or of junk eating. Raw cut potatoes before cooking, home made country french fries already to cook. Close up view on delecious cuted shaurma or shawerma on blue plate on white background.